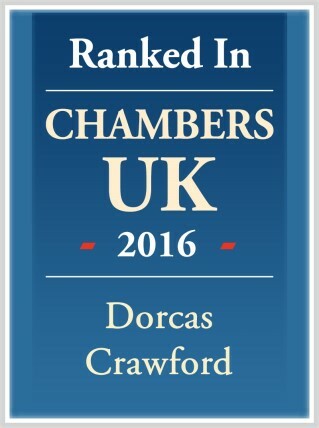 Dorcas Crawford is the Senior Partner at Edwards & Co where she has practiced as a solicitor since 1987. She specialised in litigation for most of her career, culminating in representing 5,000 police officers in a Group action for psychiatric injury. 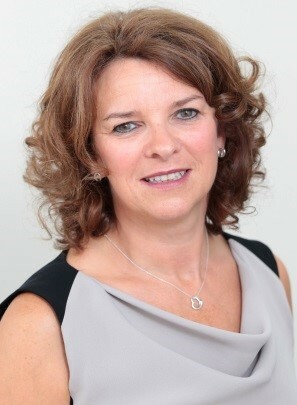 The experience of that litigation, Northern Ireland’s longest running civil action (102 court days), made her re-evaluate the whole area of dispute resolution and, in doing so, she pursued a longstanding interest in mediation. Dorcas completed CEDR’s Mediation Skills Training Course 2008 and was invited to be one of the founding members of CEDR Ireland’s Mediation Practice Group in 2011. In 2013 Dorcas participated in the CEDR specialist Panel set up to consider the use of mediation in Public Inquiries because of her wide experience in Public Inquiries in Northern Ireland. The Panel prepared a report for the UK Government which was published in Jan 2015 (Setting Up and Running a Public Inquiry, Guidance for Chairs & Commissioning Bodies). Mediator in a £5m claim by a private contractor against a public body arising out of a procurement process. The parties had been through 4 hearings in the Chancery Court and Court of Appeal and the action was listed for 3 days for a final hearing. The case was resolved in a full day’s mediation to the satisfaction of all the parties. Mediator in a high value tax dispute between an individual tax payer and HMRC - the first of its kind in N.I. – several pre-mediation meetings and a full day’s mediation, with the parties meeting several days after to finalise an agreement. Mediator in a long-running dispute for adverse possession between a former priest and the Diocese of Down & Connor – a high profile case referred by the Chancery Court in Belfast. This was a particularly emotionally charged case where relations had long since broken down and the stakes of a five day trial with press interest were extremely high. A two day mediation resulted in a resolution to the satisfaction of all the parties. Mediator in an £11m claim arising out of a procurement process between a contractor and a government department – a full day’s mediation did not achieve settlement but facilitated meetings of experts on each side and left the parties hoping to resume discussions following the exchange of information and views. Mediator in a dispute between the Post Office and a sub-postmaster regarding the termination of his contract and a claim for compensation. The mediation was part of a scheme set up by CEDR for the Post Office following a Select Committee Report. A full day’s mediation in London led to the resolution of the dispute to the satisfaction of all parties. Mediator in a court-referred building dispute in the south of England between a customer and a builder involving considerable personal distress and difficult practical issues. The builder’s reputation was at stake and it was vital for him to avoid press coverage in a small town. On the other side the customers were aggrieved and needed a solution. The matter was resolved in half a day with practical solutions to the satisfaction of both parties. Mediator in a high value claim for professional negligence against a solicitor in a conveyancing matter involving a private client and the Professional Indemnity insurers, as well as the solicitor against whom the allegation of negligence was made. Whilst there were technical issues of causation involved, the most difficult aspect of this dispute was managing the feelings and emotions of an elderly party who felt personally aggrieved. No settlement was achieved on the day but the parties expressed their satisfaction that issues had been aired and narrowed which allowed subsequent progress to be made. Mediator in a court-referred mediation in the north of England involving a dispute over the lease of hotel premises and a claim for forfeiture - an £85 000 claim which resolved in half a day. The dispute involved two family businesses and a long-running feud where the risk of costs was enormous but feelings ran deep and had to be overcome. Assistant mediator in a high-value banking dispute in London concerning interest swaps and penalty interest claims. A full day mediation with follow-up telephone meetings with the mediator resolved the matter fully. The predicted costs for trial in this case were in the region of £2.6m. Dorcas believes that contact with the parties prior to the mediation is a vital part of the process and she likes to talk to each party before the mediation takes place to develop a rapport and ensure all concerned understand what is going on. She finds that this works well to enable the parties to ‘hit the ground running’ on the day of the mediation. During the mediation itself Dorcas adopts an open and relaxed manner but will also be firm and direct when the situation requires it and she will ensure the parties are guided away from wasting valuable time. “sensitive to parties, their needs and position"
“Ms Crawford was well organised and reassuring to those unfamiliar with the situation”. “I was particularly struck by her continual and beneficial eye contact with the Client. The Client felt confident in the good faith of the mediator throughout”. “The thorny issues were discussed by the mediator in terms which encouraged agreement and in a positive and purposeful way. “The mediator's patience and persistence were considerable but most of all the spirit of the mediator led to an environment where agreement was not just possible but desirable for the parties”.